Join Pastor Thom and director of music Karen Shafer July 15-24, 2020. Enjoy 10 days in Germany, Austria, and Prague. You’ll explore Innsbruck, Prague, Dresden, Leipzig, and Berlin. Tickets to the Oberammergau Passion Play are included with time to explore the sites in southern Germany, such as Ettal. Since 1634, the most famous Passion Play in the world has taken place in Oberammergau. The tradition, maintained and experienced almost without interruption for over 380 years, of putting on the play about the suffering, death and resurrection of Christ every ten years, will be continued for the 42nd time in 2020. It is regarded as the most important Passion Play in the world. The village at the edge of the Bavarian Alps expects approximately 500,000 visitors for the passion play, over half of which will be international guests. A special law is in effect to ensure that all actors of the world’s largest amateur dramatic performance come from the village. All participants, from actors playing the big speaking parts such as Jesus, Mary or Judas, through members of the choir, orchestra members, firemen and ushers, must have been born in Oberammergau or lived there for at least 20 years. 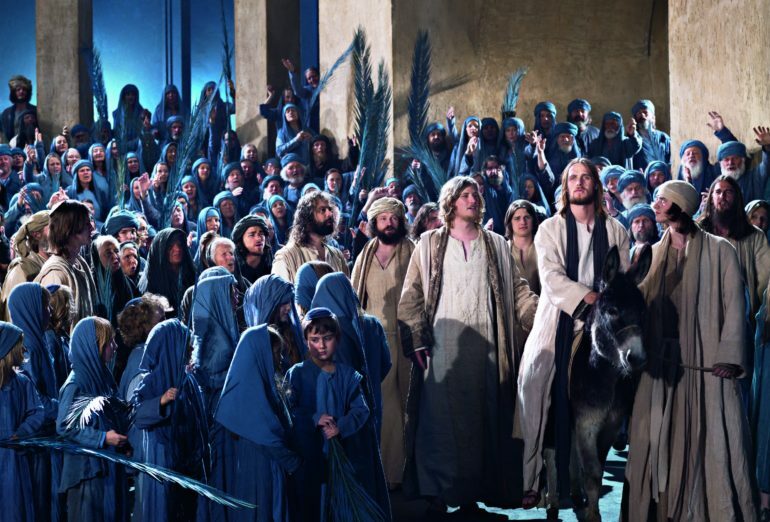 Over 2,000 Oberammergau villagers will participate in the 2020 Passion Play.